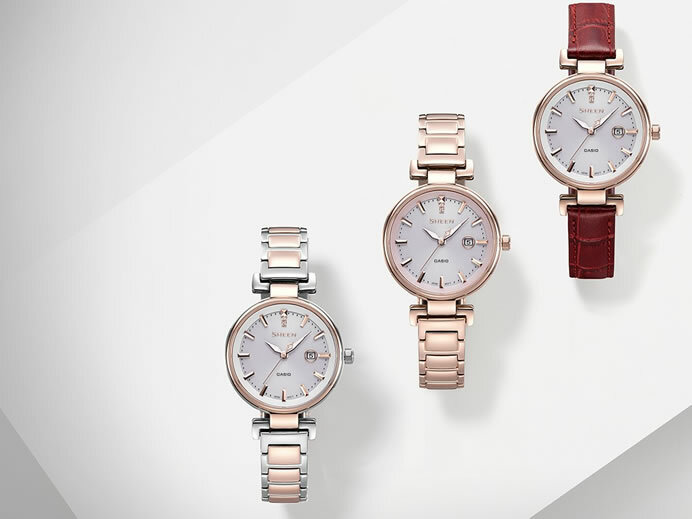 Casio announced today the release of a new addition to its line of SHEEN metal watches for women – SHS-4524CG. The new Casio SHS-4524CG features an original Peach Gold treatment throughout the watch body and a clean face design. The product of three years of development, Peach Gold is an original ion plating treatment with an elegant luster distinct from either pink gold or silver. Peach Gold complements the color of a woman’s skin. 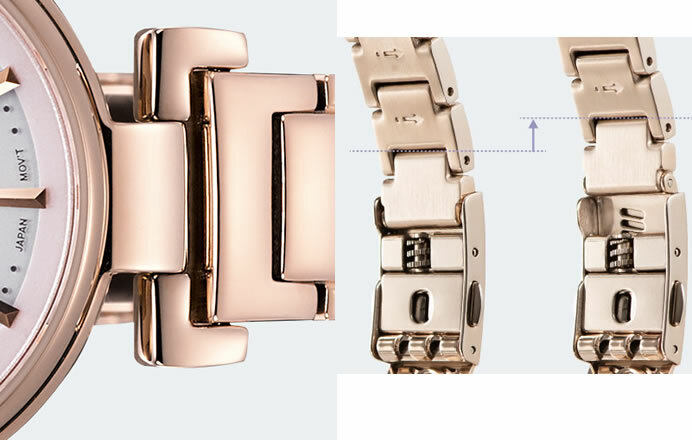 The watch face is softly colored with a Peach Pink treatment. Multi-dimensionally cut bar-shaped index marks and two Swarovski® crystals adorning the 12 o’clock position add brilliance to the watch face. With its clean design and elegant look, the watch brilliantly adorns the wrist, and is highly suitable for a variety of situations, from casual to formal. The SHS-4524CG features a compact and thin watch case with a Fine-adjust bracelet that offers up to 3.8 mm of tool-free adjustment for optimum comfort. The face is made from scratch-resistant sapphire crystal with excellent clarity, while a solar charging system efficiently converts light to power the watch. 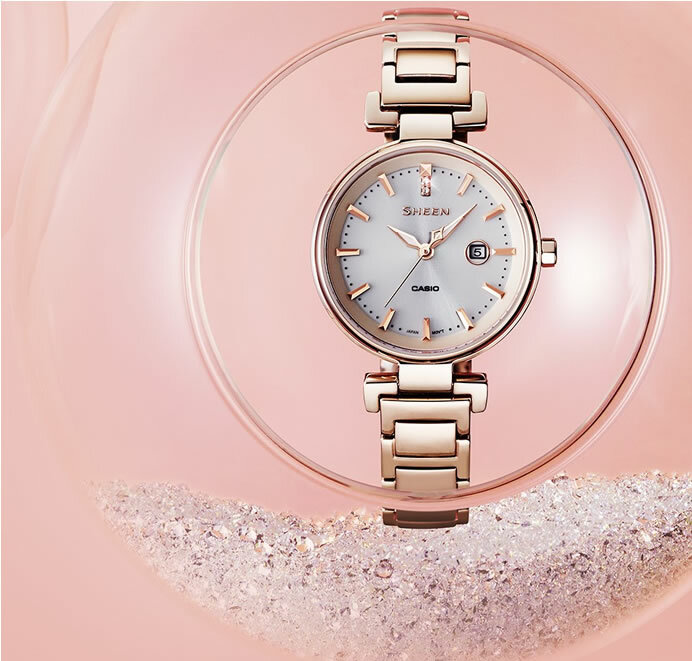 The SHS-4524CG is the perfect watch for women who treasure every moment of the day.